I kind of went overboard again this week with listing titles from my wishlist. Although I haven't yet read any of Charlaine Harris' Aurora Teagarden series (how is that possible?! ), putting her newest on my wish list was a no-brainer. While fall to me signals cozies, Kate Moretti's new book sounds too good to pass up--perfect for this time of year. And diving into an urban fantasy novel sounds so good right about now. 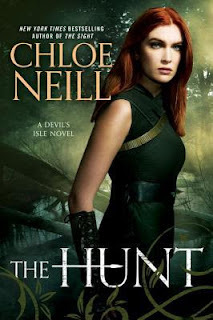 Chloe Neill's series has piqued my interest. I'll likely go back and start with the first book in the series. Yes, it's that time of year again. 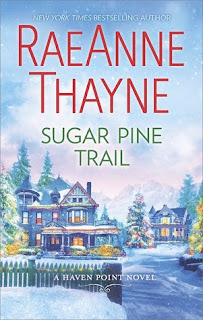 I have a soft spot for Christmas romance and am looking forward to reading the two below titles, especially the one by RaeAnne Thayne, whose books I adore). 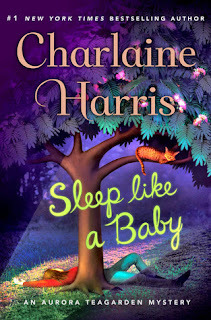 In the latest installment of the #1 New York Times Bestselling Charlaine Harris's Aurora Teagarden series, Robin and Aurora have finally begun their adventure in parenting. With newborn Sophie proving to be quite a handful, Roe's mother pays for a partially trained nurse, Virginia Mitchell, to come help the new parents for a few weeks. Virginia proves to be especially helpful when Robin has to leave town for work and Roe is struck with a bad case of the flu. I just saw The Hunt on someone's blog and it made me want the first book. I don't know how I didn't know about that series! Stephanie - I am not sure how it got by my either. I'm looking forward to reading the series. Thanks for stopping by! Look at all those amazing options. How can someone only choose one? It seems September is the month when all great books are released. Tânia - I couldn't choose just one. I rarely can, I'm afraid. Too many tempting choices out there. Thanks for stopping by! Both of these sound like interesting books! It's been awhile since I've read any of Charlaine Harris' books, but I'm going to get back into her books! Ronyell - I haven't read any of Harris' Aurora Teagarden books, but I have enjoyed a couple of her other series. I keep hearing good things about it, and would like to try it one of these days. Thanks for visiting, Ronyell! The Blackbird Season sounds really good! Eustacia - I think so too. Hopefully I will like it. Yes! 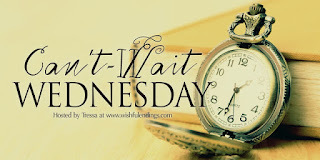 Those TBR and wish list books keep adding up. I don't think we will ever run out of books to read. Thanks for visiting, Eustacia! Erica - I am looking forward to the Holidays too. :-) Thanks for stopping by! I'd probably pick up The Blackbird Season. I hope you get all of your books! Kathy - I like the sound of it, although I've heard mixed reviews. Thank you, Kathy! The Blackbird Season sounds like a good one as I see it being mentioned on many sites I visited. Will have to add it to my wishlist. Melody - I hope you get a chance to read it and enjoy it! Thanks for visiting, Melody! I have Blackbird Season as well as book 2 and 3 in the Chloe Neill series to read. Have you seen the Aurora Teagarden Hallmark movies? They're fun to watch. Barb - Hopefully we will both enjoy Chloe Neill's series and Blackbird Season! You're doing better than I am. I didn't even KNOW Harris had a new series out! Nicole - It's not exactly a new series for her as she's just continuing with one of her original ones. I never got into her Aurora Teagarden mysteries when they first came out, but I'm interested now. Thanks for stopping by, Nicole. Give you kitties pets from me. Jeez, I don't know which one I like more. There are some really good ones! Jenea - I don't think I'll be able to resist any of them either. :-) Thanks for stopping by, Jenna. The Blackbird Season sounds like a really good mystery. I hope you enjoy it! Angela - I think it sounds good too. :-) Thanks for stopping by! The Blackbird Season sounds really intriguing. I really enjoyed the Aurora Teagarden movies, so now I want to start the series. Ashley - I just saw my first Aurora Teagarden movie and enjoyed it. I hope the books are good too! Thank you for visiting! The first three books sound like something I would read. The last two not as much, but still good. Great picks! Thanks for sharing them. Laura - I'm excited about reading them. Hopefully they will be good ones. Thank you for stopping by! Candid Cover - I'm hoping The Blackbird will be good. Thanks for visiting! These all sound great and I have a couple of them on my wishlist too. Yvonne - Hopefully we love them! Thanks for stopping by Yvonne. These all look good to me! I have arcs of The Hunt and Blackbird Season and hope to read them very soon! Carole - I look forward to reading your thoughts on The Hunt and Blackbird Season. I hope you enjoy them! Thanks for stopping by, Carole! Great list of books. 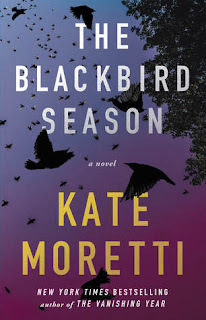 I hope to be posting a review for The Blackbird Season tomorrow. I had a few issues with it but still thought it was a solid read with a great mystery. Suzanne - I will look for your review of The Blackbird Season! A solid read is good. I'll try to keep my expectations realistic. I came across another blogger who didn't care for it. You've listed some wonderful books! Adding some to my wish list - especially The Christmas Room. Thanks for the head up and for stopping by my blog. Renee - Thank you! I am looking forward to getting my hands on them and reading them. Thank you for visiting! You have some AWESOME books here this week!! I'm especially interested in "The Hunt", as well as "Sugar Pine Trail" and "The Christmas Room". The Chicagoland Vampires series is one of those series I have LONG wanted to read, and really need to get to, as these books have gotten rave reviews! As for the Christmas books, well, like you, I LOVE Christmas-themed romance novels! So here are two more I KNOW I'll enjoy! I am really looking forward to reading all of these. The Hunt does sound good. It's like the third book in the series, I think. I still need to read the first two. But I will. It sounds like a series I will enjoy. 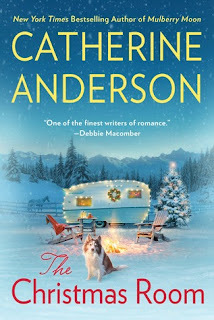 I am looking forward to jumping into the Christmas romances. Probably in November. We'll see. Best laid plans and all that. Donna Marie - Doesn't it? I love RaeAnne Thayne's novels. :-) Thanks for stopping by! I like your variety of books. Chloe Neill sounds familiar to me, the rest not. But all of them sound very intersting and I guess some of them might land on my wishlist *smile*. Sorry for my belated comment. Vi - There's no such thing as a belated comment. :-) Thanks for stopping by!